This Noble Chemical Acclaim 8 lb. solid dish machine detergent is a must have for any kitchen on a budget. The dishwashing detergent is tough enough to remove film build-up and renew the appearance of your dishes. The built-in descaling agent reduces the need for descaling dishwashing machines due to hard water. 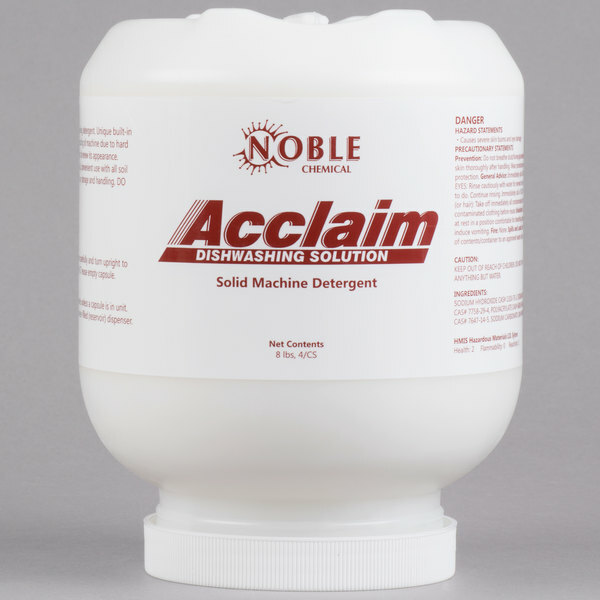 This long-lasting detergent can conveniently be used with all soil loads and soft water conditions and the bottle design makes for easy storage and handling.